Home › Buy › News › Botalys grows ginseng in Wallonia ! After five years' research, the company Botalys has achieved a 100% Walloon technical feat, as high-quality ginseng is now growing on a vertical farm in Ath! Botalys (formerly Green2Chem), founded in 2011, is an SME with 11 employees and specialises in the indoor production of rare plants popular for their medicinal properties. The two young founders, Pierre-Antoine Mariage and Paul-Evence Coppée, in collaboration with the University of Mons and the Haute École Condorcet (Ath), took five years to create the technology that would allow them to produce a ginseng root that was equivalent in terms of quality to a wild root by reproducing the natural cycle of this ancient Asian plant in a laboratory. This technique makes it possible to obtain a very high-quality plant without the use of pesticides or other solvents. "We grow the plant without soil, in a liquid environment, according to the hydroponics principle, as we do with tomatoes. 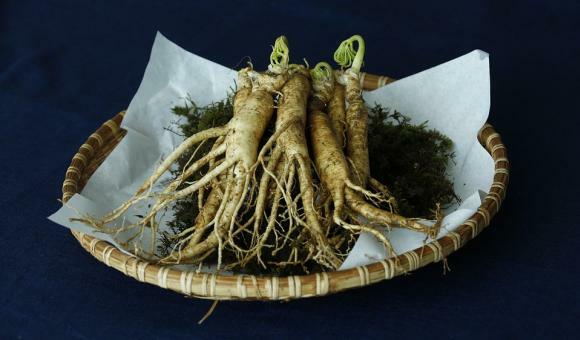 Growing plants on terraces and in pots allows us to obtain a very pure form of ginseng, comparable to the ginseng that several decades ago still came from the soil humus of wild forests in China and Korea, which is now protected and more expensive than gold,” explained Pierre-Antoine Mariage. Ginseng is known for its tonic properties and also improves concentration; it is increasingly used as a food supplement. It is a very adaptogenic plant "It is a bit like a non-heart tonic. It is a stimulant that can help to combat temporary stress and increase resilience,” said Pierre-Antoine Mariage. 90% of people taking ginseng can feel its effects after around ten days. Medicinal plants require specific growing conditions, making the process complex and generally expensive. "We have a vast amount of knowledge about their use in preventing and treating illness. But this requires high-quality plants. There are 300,000 plant species in the world and 30,000 of them can be used by humans thanks to their medicinal properties. We know how to grow around 600 of these 30,000 plants industrially, so there is still huge potential." Around 30 plants are currently being developed, but the company is dedicating 90% of its production to a ginseng that even China envies. "The Chinese cannot do ginseng hydroponics and here in Belgium we are lucky enough to have a pool of agronomics experts,” said Pierre-Antoine Mariage. So there is a great future in store for Walloon ginseng beyond our borders. "We have just signed a contract with a distributor for Western Europe, a second with a famous American brand, and we are about to conclude a third with a Taiwanese company to cover the Asian market. This year, we will be able to produce 1.2 tonnes of ginseng, but the goal is to reach a production level of 4 to 7 tonnes by 2020.” Investment of 3 million euros has already been agreed for the famous Botalys ginseng, sold under the name HRG80 (red ginseng hydroponics) by two Belgian companies, confirming that the Walloon agri-food sector is well represented.